I only know I was born on March 5th because someone told me. I don’t remember myself. So it’s fact based on secondhand information and trust. The value of me is equal to 5097033198, but also 3051982. The first is my phone number, and the second is my birthday. I assign values to people. My fifth grade bus driver had a Cheeto factor of four. Last week the candle factory burned down. 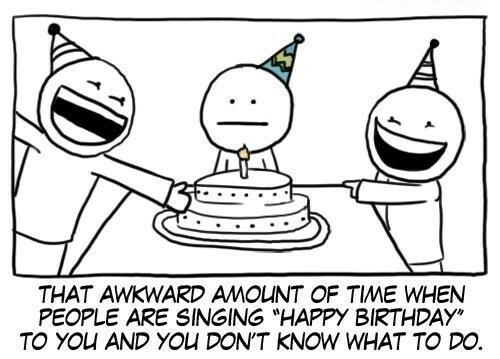 Everyone just stood around and sang, Happy Birthday. As long as there are birthday Gifts, I don't mind celebrating my birthdays everyday. Birthdays are nature's way of telling us to eat more cake and not worry about the weight. I have been 25 since I was 25. It is lovely, when I forget all birthdays including my own only to find that somebody remembers me.